I felt a hand on my shoulder. I turned around as my friends walked past us off the path of the dirt road. It was hot and the sun seemed to scream past the shade of the waterless dam we were exploring at the Parque Ecologico La Huasteca. I looked down at the no more than seven-year-old girl she was shoving towards me. “Um, sure.” I replied as the girl’s hand grabbed at my locks and I leaned in closer for a picture. “I can’t take this.” I heard my friend say as she shook her head and walked away. I had taken a Labor Day weekend trip to Monterrey, Mexico and was trying to figure out if this was picture number eight or nine. The week before that I was in Niagara Falls, Canada, and the two trips felt so distant, like two worlds apart really. 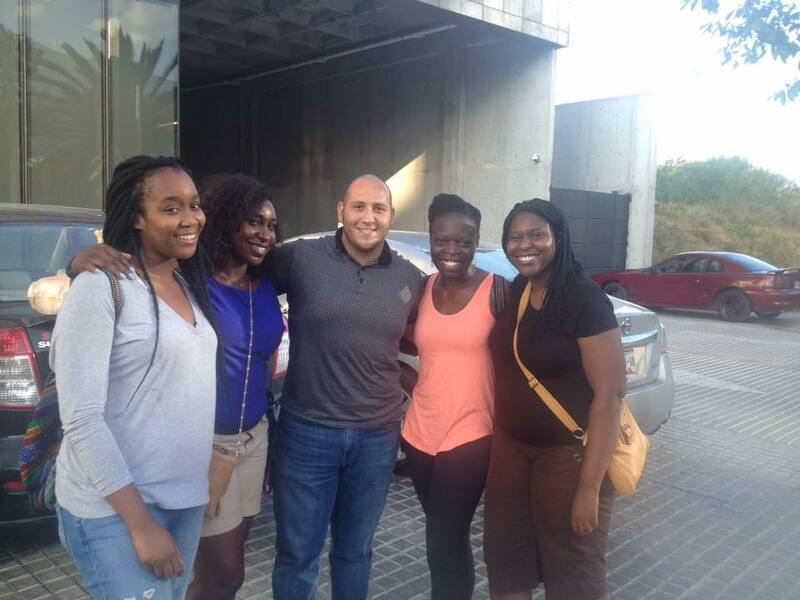 In fact, I almost forgot about Canada as I paraded through Mexico with my cell phone in one hand and a water bottle in the other with our driver, Israel, watching close by with answers to every question we threw at him. I felt a bit like the tourist I hated so much, mesmerized and intrigued by the new, with little understanding of each interaction and location. I was constantly asking my friend Lola to interpret, to suggest, sometimes to answer for the things I couldn’t understand. Yet, I was always reminded of being a foreigner. 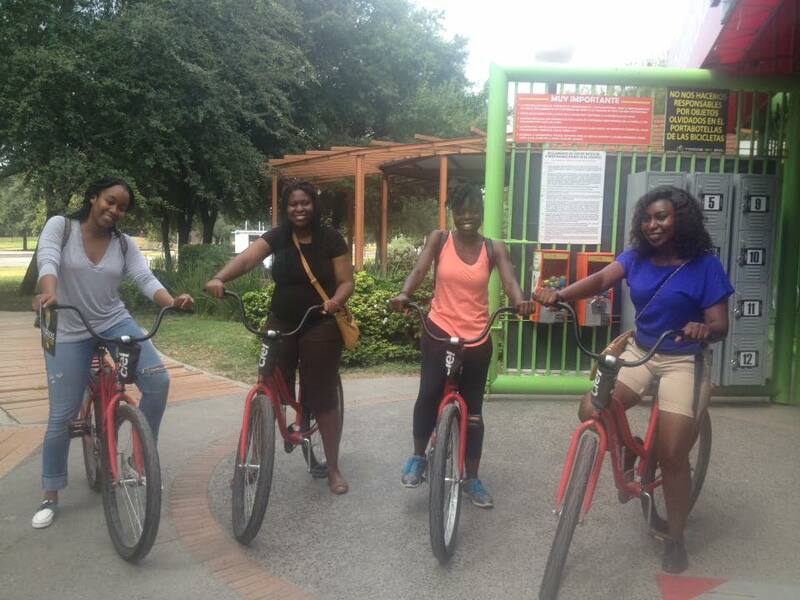 Mexicans laughed as we walked by, four African women exploring and questioning Monterrey. They stopped us to take pictures, honked as we passed by, ran to their doors and waved. We seemed to have created a ruckus of some sort. When we entered grocery stores, employees would call co-workers to come see us as I strained to hear what was being said, struggling to translate from Spanish to English. Later, I asked Israel, our driver, about the reactions from the Mexicans. I asked about the history, how we saw an illustration at the Museo Del Noreste of our African people being held as slaves in Mexico. I wanted to know how they could celebrate us when they had used our people. But, Israel had been so kind that I couldn’t find myself to ask the question until we were headed to the airport at four in the morning during the final hours of our trip. I snuck the question in between small talk and an uncomfortable silence. I needed another explanation. I was convinced that my friend’s boss, Nancy, had not given me a sufficient enough explanation. Israel remained silent as he weaved in and out of lanes with the van’s headlights leading us through the empty streets and onto the highway. I wondered if he had missed the question; if I seemed too accusatory in my tone. If I had offended him in the process of asking. “But, it’s ironic!” I laughed. “Yes, but sometimes if you don’t understand it you can be offended. It’s meant to be nice. We only bully each other not foreigners.” He joked. I thought of Reyna, a woman from Lola’s church that we met during the church picnic. She came right up to our table, nestled at the corner of the room, and began to ask about our lives. She told us she was from Ecuador and had spent years doing missionary work throughout South America before settling in Monterrey with her husband. Like me she wanted to explore the world while helping others. I wondered about these comments for a while, not sure that I was completely convinced that a country could go from enslaving Africans to loving them. I reminded myself that I was always greeted with kindness and curiosity, that besides hearing about racist Mexicans I had yet to meet one. Also, I was reminded of my time in Romania years ago when our driver swore he would run over a gypsy family on the road if they didn’t move because he thought they shouldn’t be on the road pulling a buggy, and that they were definitely thieves – because according to him all gypsies were thieves. Unfortunately, I pointed out that the only way he knew they were gypsies was because of their skin color, and well, where did that leave me – a darker skinned woman. My conversation with Israel also reminded me that most of the Mexicans we met were interested in our “exotic” features. With terms like “You’re all so beautiful!” and “I like your hair!”, many seemed unwilling to explore who we really were beyond the surface. Also, racism still existed, Israel talked about his grandmother and how she did not like dark skinned people. We responded by joking that we would show up at the ranch during the family reunion to meet “grandma”, and pretend that he was dating one of us. He talked about telling stories about us to his family and how everyone sat quietly listening to his stories and asking questions about the “four African women” he was driving around. I did not blame them, in fact I found the experience to be humorous. I remembered how I ran the first time I met a white woman, a friend of my fathers that came to visit us in Kenya when I was four or five. I remembered being forced to come out to get the doll she brought from America and crying when she carried me for the first time. As we got closer to the airport Israel asked us questions too. He wanted to know how we met each other. How did we get to the United States? How were we able to speak our native languages? How we stayed such great friends. I realized that he was just as curious as I was about other people’s lives. Previous PostLive Like You Will Die Tomorrow…Next PostWhy Are You Late? Beautiful story, interesting experience! Because of the times we live in surface “curiosity” can definitely be misinterpreted but I’m glad you both were able to quench your curiosity.